The warm weather welcomes the bugs and although I don’t particularly like bugs, kids do. That is why my son and I made this Homemade Bug Soap. He can enjoy his little critters without them actually running around my home! Homemade soap is great for so many reasons. The first is that you know exactly is going into the soap. You can really customize it to fit your needs and use a variety of colorants and fragrances to get your perfect bar of soap. Secondly, it’s fun to make! 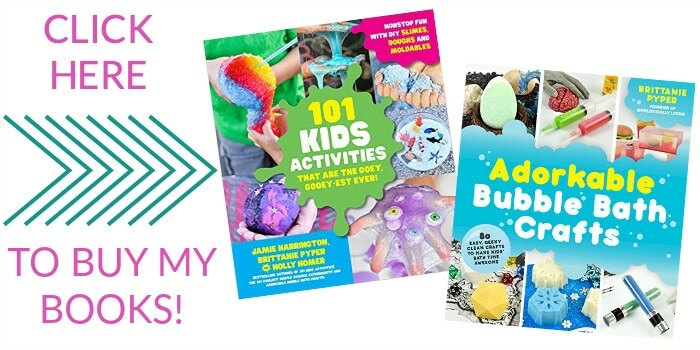 You can be really creative and when using melt and pour soap base, you can have your kids help you make it since there isn’t any dangerous chemicals involved (like with cold process soap making). 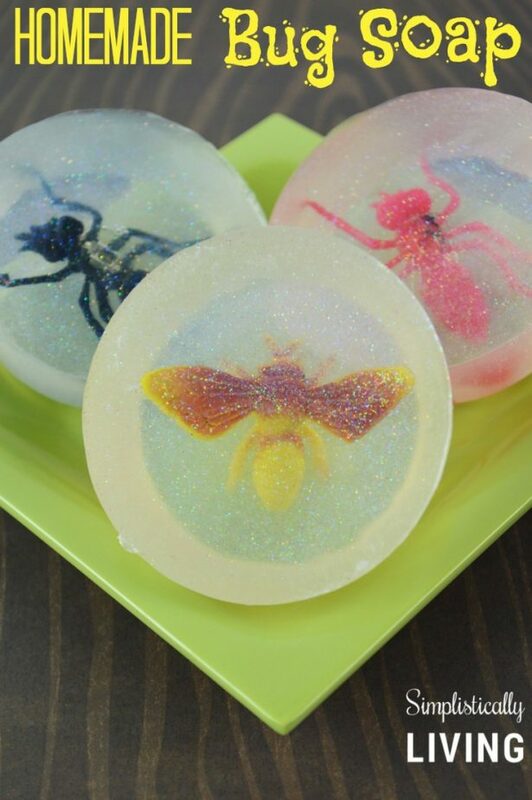 This homemade bug soap is fun and easy to make. My 4 year old son and I were able to make an entire batch in less than 10 minutes. He had a great time making it with me but the real fun comes when your child gets to actually use the soap they created! 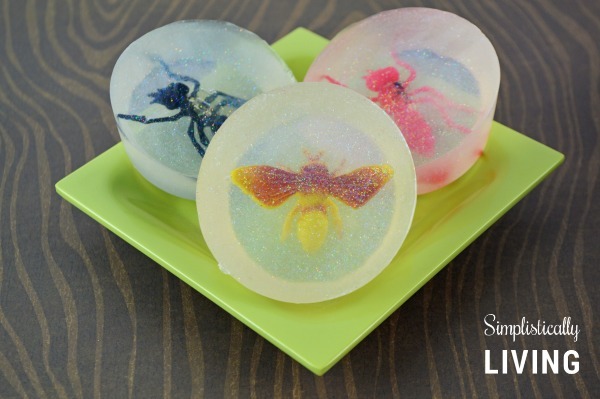 This soap would be perfect to make for a Bug Party or some sort of Spring Gardening party. I sure hope you will give this soap a try! The directions are below! 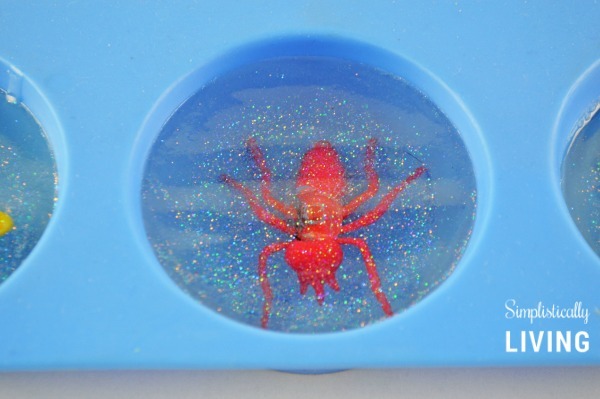 Add 1 plastic toy bug into each of the cavities of the mold. Don’t worry if the bugs start to pop out or don’t fit perfectly, once the soap is poured it won’t matter. 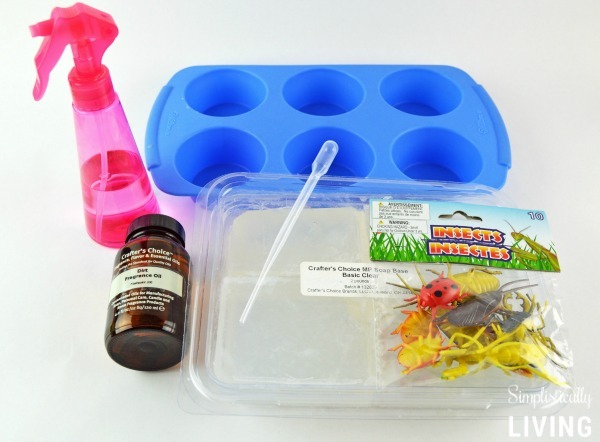 Spray the plastic toy bugs with a few bursts of the isopropyl alcohol. This helps the soap adhere to the toys. Place 1/4 of your 2 pound melt and pour base into your microwave safe cup or bowl. 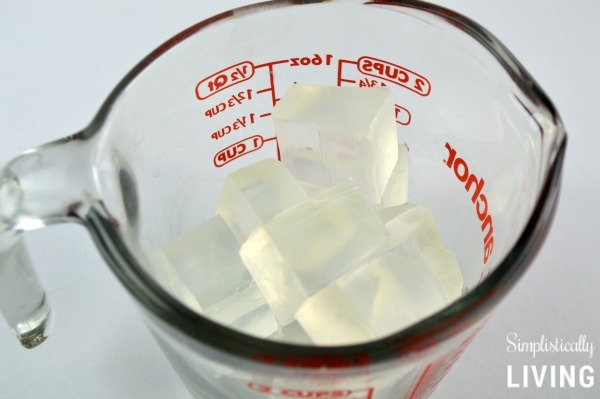 It melts easier if you cut this block of soap into smaller cubes. Microwave your soap base on high for 30 second increments. Stir and cook for another 30 seconds until all the soap is melted. If you are using sparkly mica or soap colorant this is the step where you need to add it in. 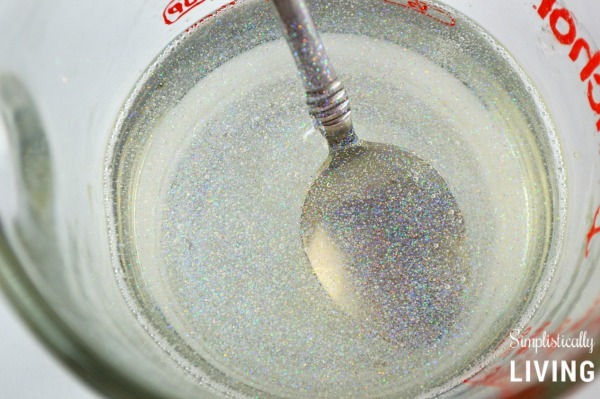 I used about a teaspoon of sparkly mica in my clear soap base. Stir well. Add 3-5 drops of your fragrance or essential oil to the melted soap base and stir generously. 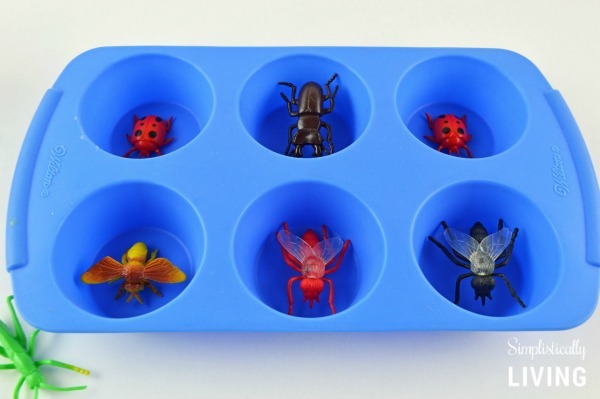 Gently pour the melted soap over the toy bugs filling each cavity completely. Tip: if the bug moves while you are pouring the soap just use your spoon to center the bug before the soap hardens. Spray the tops of the soaps with a few bursts of isopropyl alcohol to get rid of any air bubbles that rose to the top. Allow the soap to harden for at least 2 hours. Once hardened, you can remove the soap by gently pressing from the back of the silicone mold and the soap will pop right out. 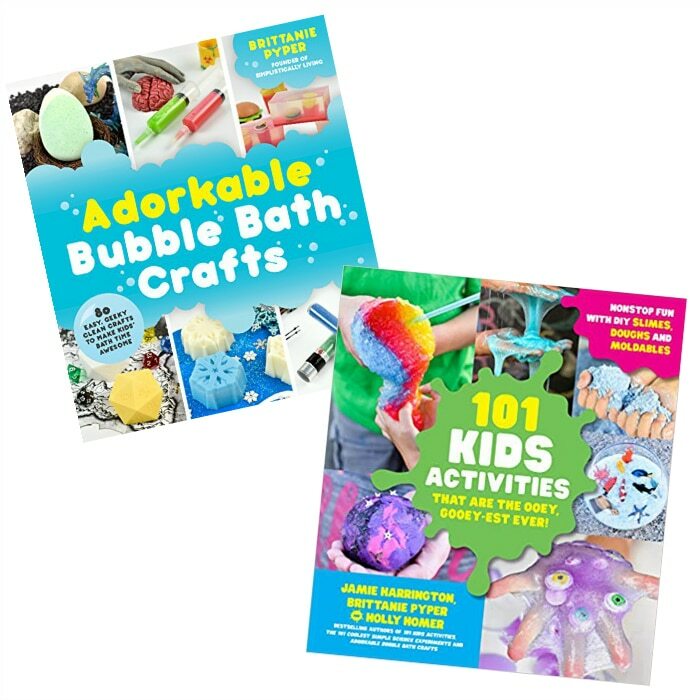 Use the soap immediately or wrap entirely in clear plastic wrap. Melt and pour soap must be covered at all times when not in use.